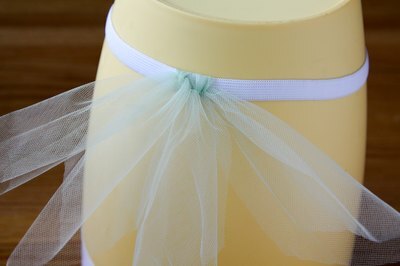 You can make a puffy tutu for a baby or toddler with absolutely no sewing necessary. 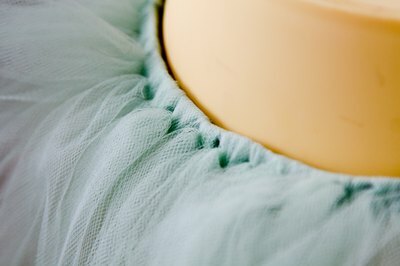 For an older child or adult, the tutu simply requires a couple of stitches in the waistband and no other sewing is necessary. Make the extra puffy tutu from a single-colored tulle fabric or make a brightly colored tutu with a rainbow of colored tulle. You can make the tutu as a gift for a little ballerina or make the tutu for your own baby and capture a multitude of adorable photos. Cut the tulle into strips. Make each strip 6 inches wide and between 12 and 18 inches long for a baby or toddler or up to 36 inches long for an adult. 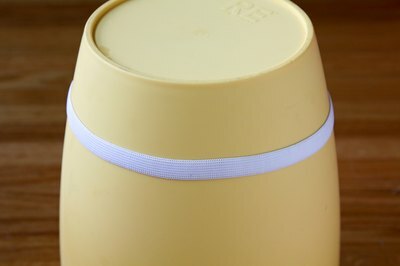 Slide the fabric headband onto a circular object, such as a can or bucket. When making the waistband from ¾-inch-wide elastic, measure the circumference of your waistline and cut a piece of elastic to the measurement minus 2 inches. Sew the ends together. 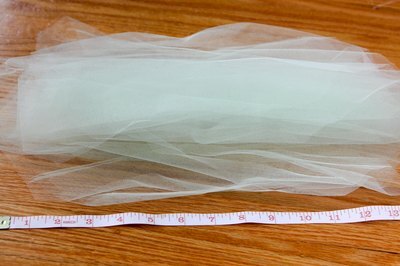 Fold one tulle strip in half over the waistband. Tie the strip in a knot against the waistband. Fold another tulle strip in half over the waistband next to the first and tie the strip in a knot. Make sure the knots are as close together as possible. Continue knotting tulle strips all the way around the waistband. Press the knots tightly together as you work to make room for as many tulle strips as possible. 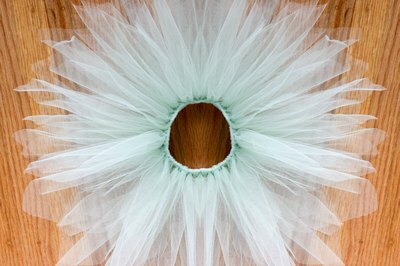 The more tulle strips, the puffier the tutu.